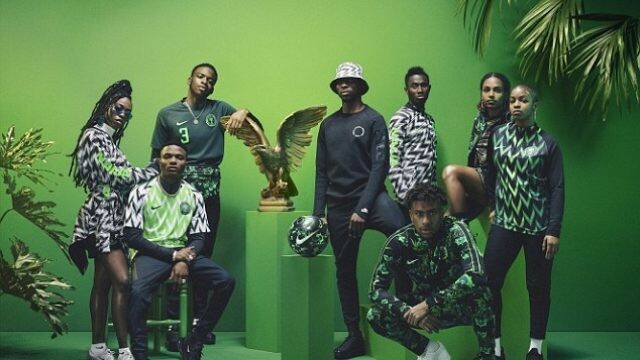 The Super Eagles jersey has been nominated for the London Design Museum’s Beazley Design of the Year. The Nike collaboration jersey which sold out in less than 10 minutes will compete with 86 other projects to clinch an award. The award cuts across six categories (architecture, digital, fashion, product, graphics and transport). The winners will be announced in November later in the year. Hours after its release, the jersey was ranked as the number one by Mirror UK. The GQ magazine also ranked it the best Jersey in Russia 2018. With the attention it garnered, the jersey quickly became a holy grail and became an inspiration for AS Roma’s possible new design kit.